Misr International University is always trying to extend the community service and environmental affairs committee’s role in different projects. 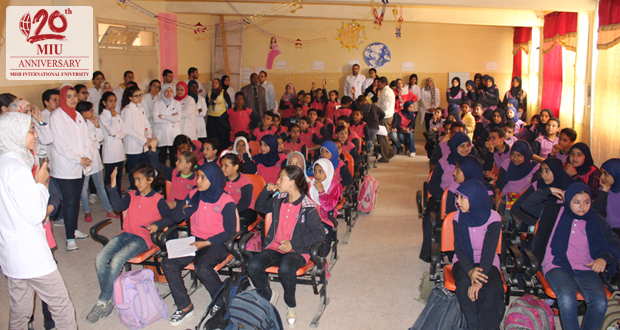 This time it was a visit conducted on Thursday 7th April, 2016 to Mostafa El-Maraghy School in Badr City. The total numbers of participants were 80 students of both genders (Primary and Preparatory stages). 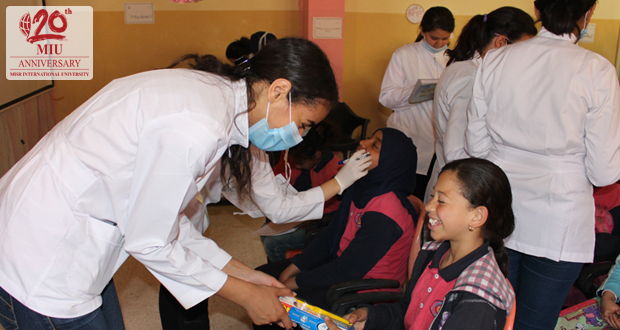 The students’ activities included awareness sessions to improve students’ oral hygiene knowledge and behavior. The sessions included a presentation, posters, brochures, as well as live sessions about tooth brushing techniques and oral hygiene measures. Educational materials, packs of tooth paste and tooth brushes were distributed to all students. 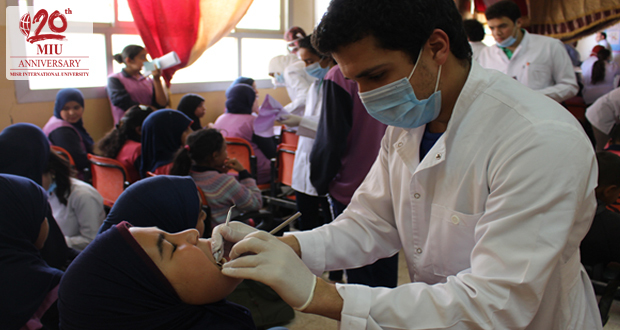 Dental examinations were performed by fourth year students under supervision of Oral Medicine Department staff members with the application of infection control measures. Each student received a card indicating his/her oral condition status and treatment needs, if any.